I have been battling with computer battery and charger issues for the last couple of weeks. I think I finally *fingers crossed"* have it all straightened out, and should be back in business with new posts and projects in the next couple of days. So for now, let's take a little trip to revisit this fun little Halloween wreath from a couple of years ago. This spooky little wreath was, and still is, one of my favorite Halloween decorations. It was so easy to make, and it gives off the perfect spooky vibe for our front door. It really was easy to make, and is a great way to repurpose old holiday decor. So before you toss out that old, crummy looking Christmas swag, or pass up that garage sale holiday decor, give it a good look, it might just be perfect for Halloween. I dismantled two Christmas swags, removing all the pinecones and fake greenery. I was left with these scraggly looking bases, that happened to have the perfect Halloween look to them. I formed them into a wreath and used twist ties (you could use floral wire too, if you're fancy like that) to hold the two pieces together. Then I gave the entire thing a few light coats of gloss black spray paint, added a dollar store crow and a few spiders, and it was done. The perfect spooky touch to our front door! I always love putting this wreath out, and after three years, it still looks just as good as the first time I put it up. 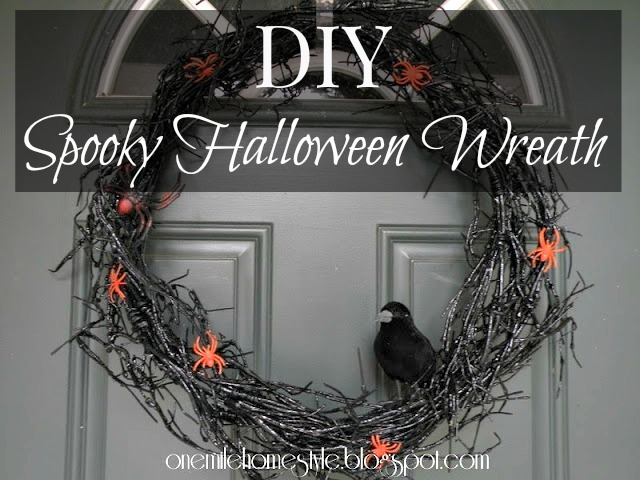 So, tell me, do you have a spooky Halloween wreath on your front door? Ooh this is spooky(and cute!). 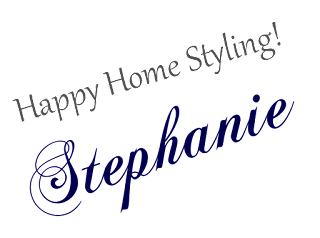 Thanks so much for sharing and linking up to Friday Favorites!